Maryland Pink and Green: Lilly Pulitzer Estate Sale Bid List! You may remember that I recently shared the details of the sale of the Property of the Estate of Lilly Pulitzer with you. I would love to own a piece of history and would be content with the most common item that belonged to one of my favorite personalities. Even something as small as a simple plate or a vase would be a treasure. Here are a few of my favorite things from the sale. 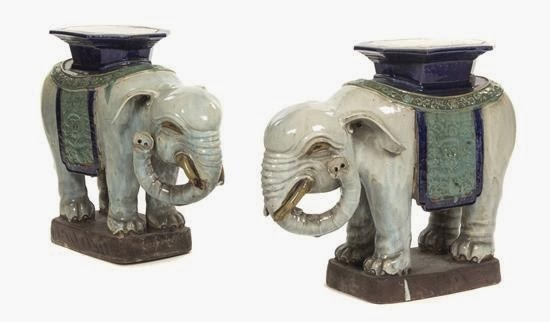 Set of Two Chinese Export Garden Seats Elephants? No more needs to be said. These are amazing! 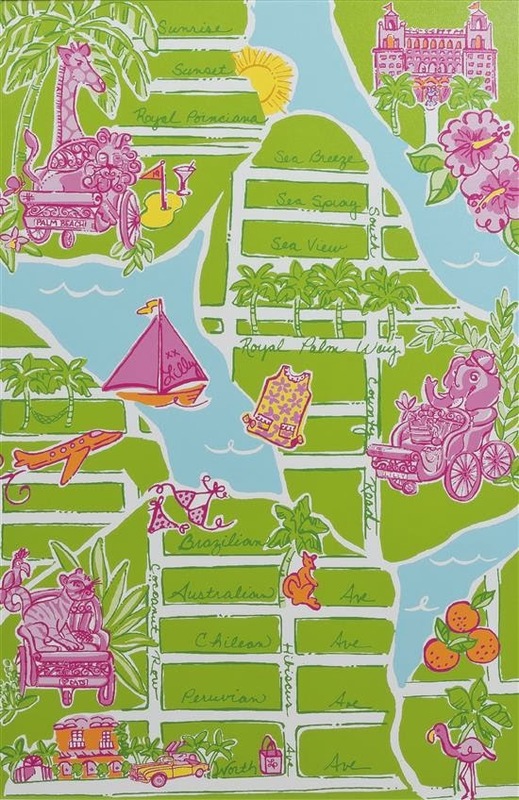 Painted Canvas Whimsical Map of Palm Beach I always love the look of Lilly for wall art. Wouldn't this be a gorgeous print to revive for a shift dress in the future? 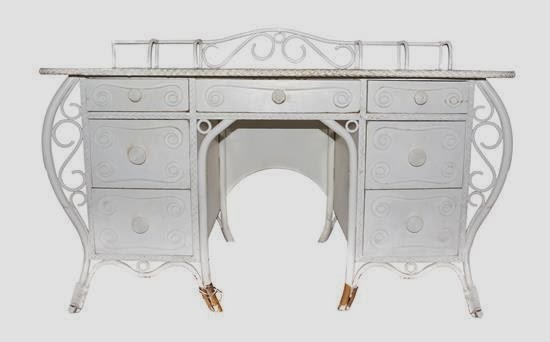 White Painted Wicker and Bentwood Desk I imagine that many letters were penned from this stunning desk. Perhaps it would be some good inspiration for blog writing. 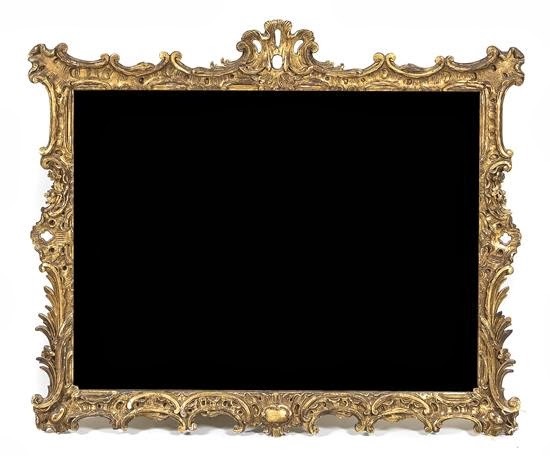 Italian Baroque Giltwood Mirror Lately, I've become slightly obsessed with antique mirrors. When John asked me what I wanted for Christmas, I told him that I wanted a mirror. No lie. I did get a stunning mirror for Christmas, but I'm sure that I could find a home for this one, too! 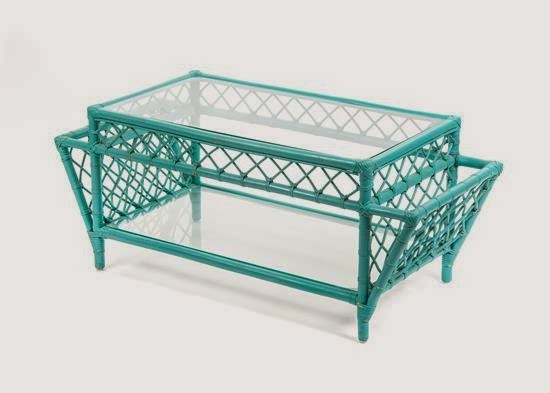 Turquoise Painted Rattan Low Table What a fabulous little table! I imagine this on a covered patio with comfortable printed sofas. The complete catalog for the estate sale is now available online. You can also order a copy of the print catalogue. Remember that you can bid online or by phone if you're not in the Palm Beach area. That print is beautiful! I'm about ready to see some vintage prints brought back. I want the desk! Unfortunately the auction house does not ship. Goodness gracious that turquoise table-- the terrible things I would do to get my hands on that! Beautiful! I would be thrilled to have one of the Mottahedeh crustacean plates. Or the umbrella stand. Or the rattan love seat. Or. . .